Boyds Bears # 91710 Claudine de la Plumtete Plush Kitty Cat in Blue Hat 6.5"
Brand: BoydsType: Classic/Jointed TeddySize: 6in. 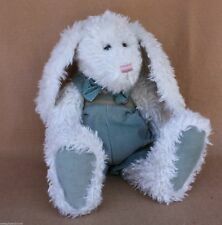 Brand: BoydsType: Plush TeddySize: 14in. Top Rated SellerBrand: BoydsType: Classic/Jointed TeddySize: 12in. 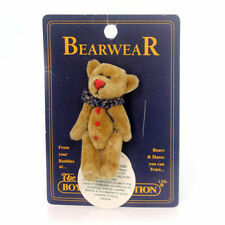 Brand: BoydsType: Classic/Jointed TeddySize: 14in. 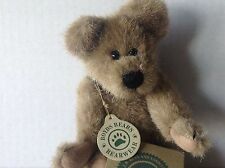 Boyds Bears Baby Mookins Excellent Condition! 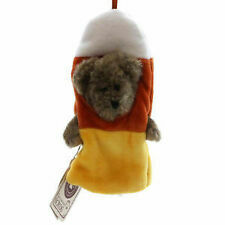 Ending 24 Apr at 12:59 EDT4d 7hBrand: BoydsType: Plush TeddySize: 10in. Boyds The Head Bean Collection Thinkin' of ya Series 4"
Measures approx. 4" tall. It is based on weight. I will be happy to answer. Top Rated SellerBrand: BoydsSize: 4in. Boyds Cat Jointed Plush & Beans J.B Beans Series 8"
J.B Bean Series. The Boyds Collection LTD. He has jointed head, arms, & legs. Plush and Beans. Measures approx. 8" tall( sits 6" tall) It is being sold in good used condition, with lots of play time left to offer. From United StatesBrand: BoydsSize: 12in. Item Type Plush. Material Fabric. Actual item size may vary due to filling/stuffing/fabric/material nature of the product. We will work with you to resolve the problem. About International Orders. 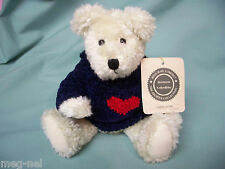 Vintage '90s Boyd's Bears Angel Heart Jointed Mini Teddy 5"
From United StatesBrand: BoydsType: Plush TeddySize: 5in. Boyds Stuff for Starlight. Vanessa R. Angel. A Plush with beanies. Charity Bear named. He is a jointed bear and you can move his head, legs and arms. Shar N. Hope is wearing a green, yellow polka dot bow & a daffodil tucked behind her ear. 'Boyds Bear.Unusual!1998 edition. The BOYDS COLLECTION ORIGINAL MOHAIR BEAR COLLECTION. CERTIFICATE #5602. STYLE" 590250-11. He is part of the Boyds Bears mohair COLLECTION. The bear is hand stitched and fully jointed'. 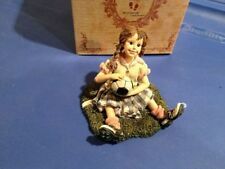 She is an adorable year round friend or a great addition to your Easter decorations. From the largest Boyds Dealer in Oregon, an Original Boyds PAW Dealer. And it will be whatever they quote! Uncle Gus & Honeybunch, Reagan Bearington, Keifer Elfington and Garner J Cattington. Overall Excellent MIB Condition.No odors. Boyd's Super Duper Bear Factory Cat. Boyds Bear Collectible Stella Pink Angel Bear with Wings & hanger - So Sweet!